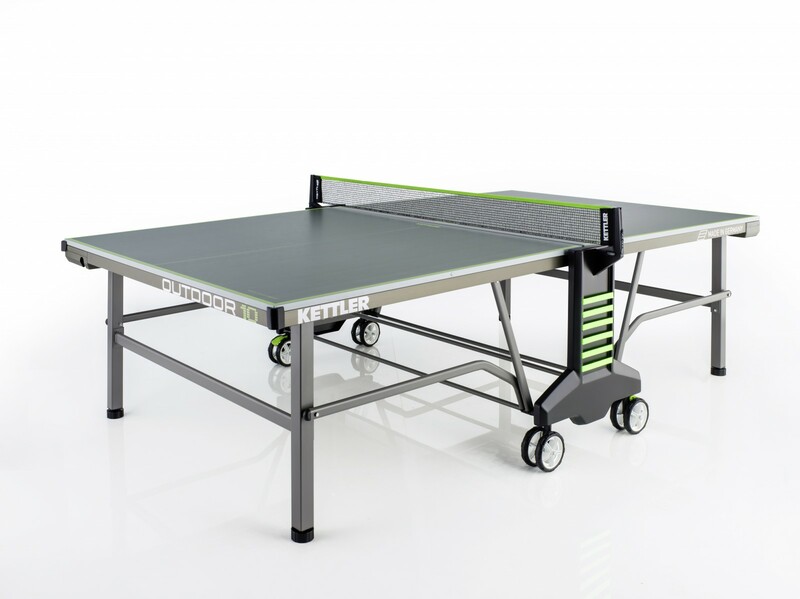 The new Kettler table tennis table Outdoor 10 combines sturdy and reliable technology with the latest ideas and skills of Kettler. Quality Made in Germany. The Kettler table tennis table Outdoor 10 is equipped with a sturdy frame made of 50mm square tube and is very solid and low in torsion. The frame connects the 22mm Alu-Tec-special wood board with the offroad double wheel system. Due to these double wheels it is possible to transport the table on uneven ground and move it to your desired place. The innovative ball box for up to10 balls is integrated in table halves. It saves regular searching for balls and the wait between the rallies. The UV resistant elastic straps on the net posts are ideal for storing bats, jackets or drinking bottles. The softtouch edge protectors protect thighs from painful bruises and injuries, mainly while running around. A very safe and comfortable opening and closing of the table halves is possible thanks to the new one-hand locking technology. Smash outdoor 9 is the best outdoor table i have ever seen. It is very stable. Surface offers nice response for the ball bounce, almost like proffesional table. 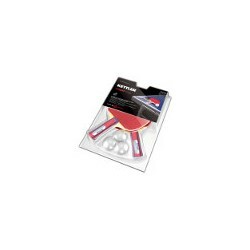 Kettler table tennis accessory special offer set In stock! Kettler table tennis table Outdoor 10 add to comparison list.